These adorable bags are completely hand-made by Silvia Mendoza of Not Knots. They’re approximately 10″ tall, with a rectangular base, and fully lined with light-colored coordinating fabric. These are grab-and-go bags, lightweight and crushable. The perfect size and compactability for knitting on the go…or waiting in line at our favorite park. One of my favorite features is the band of Tinkitude at the top! The price for these bags are $18 each. There is an extremely limited quantity of these bags, so get them while supplies last. Quantities will be limited to one per customer or one per bundle*. Pre-orders will open around July 14th. Orders will be filled in a first-come, first served basis. But when they’re gone, they’re gone! 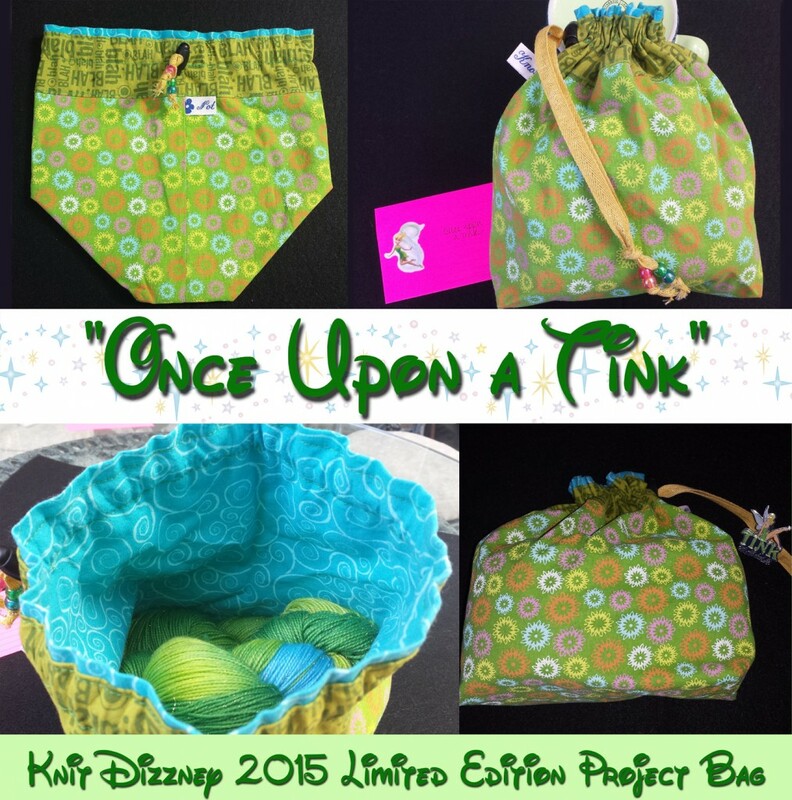 1 “Once Upon a Tink” project bag. So mark your calendars for JULY 14th, 2015! Of course I have to have all three, plus maybe an extra skein of yarn. Hi Laura, I would like to order three of all three…bags, shirts and skein for myself, Chloe and my niece. 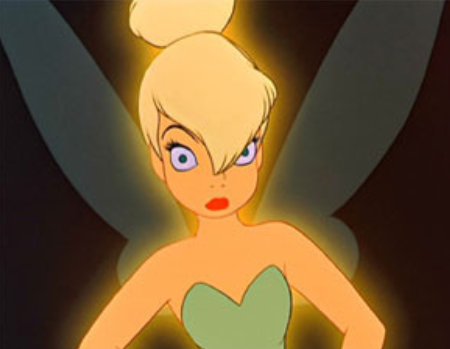 Have to go to Long Beach for a doctor’s appt but will be checking back throughout the day.